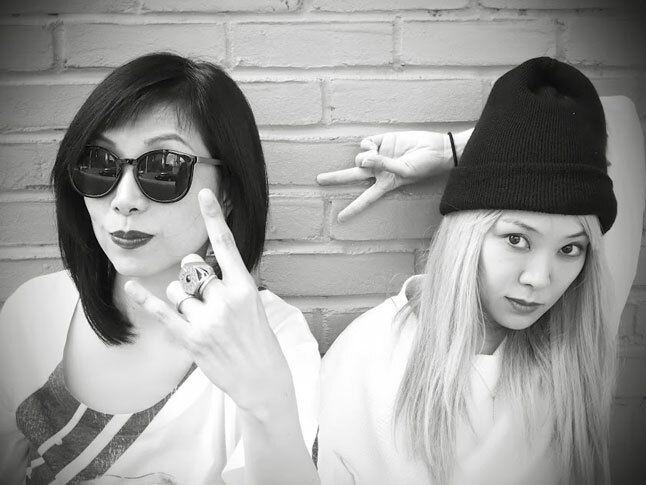 Japanese expatriates Yuka Honda and Miho Hatori are the creative minds behind Cibo Matto (Italian for “crazy food”). The group received heavy praise for their first two albums, Viva! La Woman and Stereo Type A in the 90s before they went on hiatus for the new millenium. Honda and Hatori still remained very active, doing collaborations with Yoko Ono, The Gorillaz, and Beck as well as solo gigs during those years. In 2011, Cibo Matto announced they were back together and were recording new music, much to the excitement of diehard fans everywhere. Cibo Matto’s earlier music mostly consisted of songs about food, yet they gradually expanded their subject matter over the years. Hotel Valentine, which is officially released today, is their most mature album to date. Appearances from Nels Cline (Wilco) and Mauro Refosco (Atoms For Peace) are included with Cibo Matto’s signature mix of trip-hop, pop, and funk tunes. To add to the Valentine’s Day theme, Hatori and Honda have also handwritten Valentine’s cards for those who pre-ordered the album. The record is also released on Sean Lennon’s label Chimera Music. Cibo Matto continue their reunion tour through March. 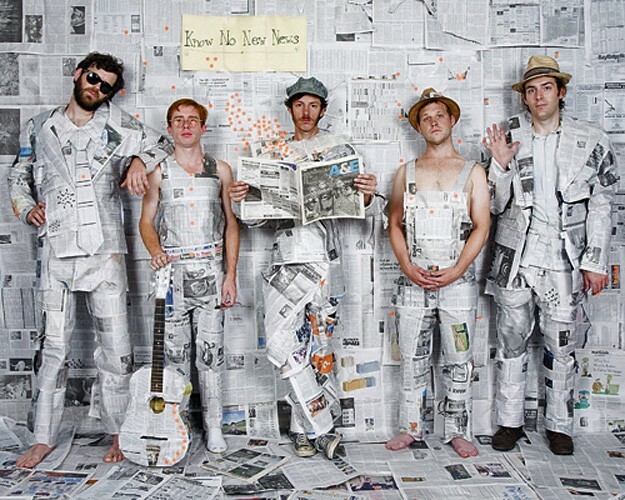 Check out Hotel Valentine as well as the rest of the band’s impressive catalog. There really is nothing quite like a Dr. Dog performance. If there’s any band that can instantly turn my mood around, it’s them. I was lucky enough to catch the band for my fifth time at the Electric Factory. February 1st’s show was their second of two sold out shows in Philly and the energy from the night before carried into this show as well. The Pennsylvania locals played a high octane set that lasted almost two hours. The entire range of their albums were covered, including “Say Ahhh” from their 2002 album Toothbrush to singles from their latest release entitled B-Room. Crowd favorites like their Architecture in Helsinki cover of “Heart it Races” and “Lonesome” had the entire room singing along. Vocalists Toby Leaman and Scott McMicken took turns with belting out their respective songs as well as joking around in between tunes. They also expressed their gratitude for Philly’s overwhelming support of the band through the years. During their encore they had the Philly Phanatic join the stage during “Oh No.” Steve Marion from the opener Saint Rich joined the band as well to solo on “Easy Beat.” Marion is also the mastermind behind the band Delicate Steve. Overall, Dr. Dog did not disappoint the sold out crowd at the Factory. They will continue their extensive tour that goes well into March in support of B-Room. Phantogram’s sold ­out stop at the Union Transfer on December 6th was part of their highly anticipated tour in support of their latest album, Voices, which is also their first album in four years. I was pleasantly surprised by opener Until the Ribbon Breaks, the relatively new project of Welshman Pete Lawrie. The act blends electronic elements seen in recent dance music as well as plain old rock influences. At various points during the set Lawrie showed off his talents on the trumpet as well as other instruments, and displayed his versatility in his unique style of music. Welsh’s distorted vocals also added an interesting addition to his somber lyrics. Songs like “2025,” “Romeo,” and “Pressure” won the crowd over. Until the Ribbon Breaks is definitely a band to look out for in 2014, and you should expect to see more news from Lawrie’s project in the future. Phantogram came on around 11:00 p.m. to an ecstatic crowd. Singer Sarah Barthel’s powerful voice cut through the band’s shoegaze vibes. A chilling rendition of “Mouthful of Diamonds” captivated the audience as well as fan­favorite “When I’m Small”. The quirky “Running From the Cops” featured guitarist Josh Carter taking over vocal duties. Their latest single, “Black Out Days” showed a different side of the band. The high energy song accompanied by an incredible light show brought the performance up another notch. Barthel took the time between songs to thank the crowd and Philadelphia for consistently being a great place to play. It was visible she and Carter were feeding off the crowd’s energy and were having a great time on stage. Phantogram played a couple more new songs from Voices including “Never Going Home” and “The Day You Died” before finally ending the set just around midnight.